Jill told me about a cookie recipe that has popcorn in it. It sounded so unusual that of course we had to try it. I made a version without the chocolate chips as I used a slightly different recipe. The cookies came out well especially considering that a substantial amount of popcorn went into the dough. I didn't think that the cookies would hold together as there was so much popcorn, but in the end, all was well. 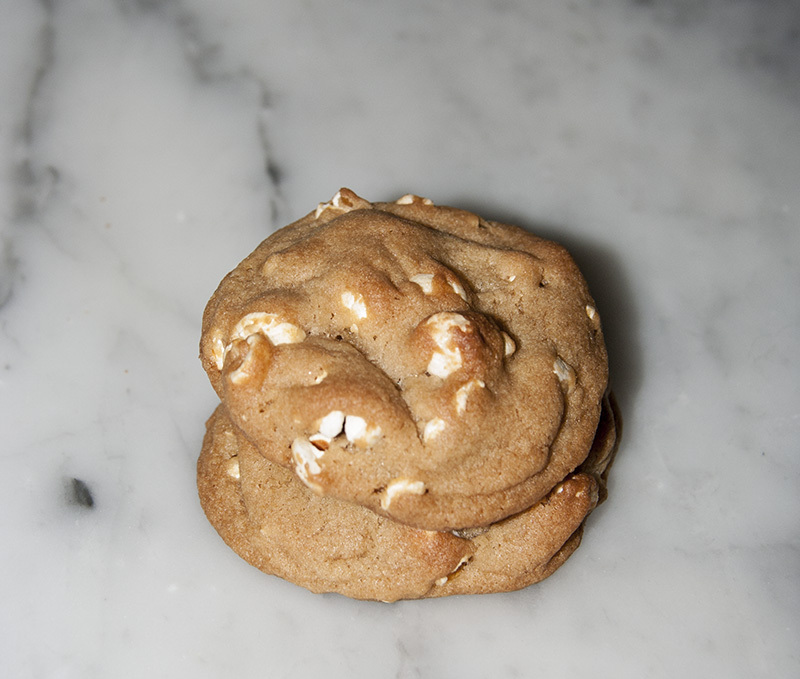 These are good cookies and it's fun that they're filled with the popcorn. It's nice to have something other than plain chocolate chip cookies. You can find the recipe here; and please visit Jill's blog to see how her cookies came out. They look great! Now I'm curious what the non-chocolate version tastes like, though I loved them with chocolate. Thanks for baking with me!